Experiencing Suddenlink outage? 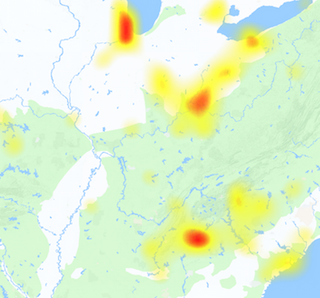 Here you can get help to detect ongoing problems and issues OR when the service gives not working error with the help of this outage map. Suddenlink Communications is a U.S. cable broadband service provider, it is previously known as Cebridge Connections. Originally it was founded in 2003 as Cebridge then it started to work as Suddenlink in 2006. 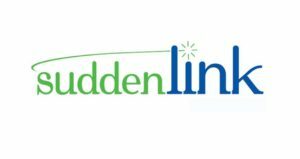 Suddenlink provides Digital cable, high speed internet, Digital Phone, home security and some other cable related services including video on demand, digital video recorders, TV caller ID and online video service branded as Suddenlink2Go. The commonly reported issues and problems are related to the internet not working, problems with Cable TV, home phone is not working, unable to make calls, beep voice when making calls then complete silence and some other very customer specific issues. The problems which we get are very small in nature, however if the Suddenlink outage occur this is the most worst situation where the user get extremely annoyed. Suddenlink operates in about 26 U.S. states, it also provides TiVO Stream to customers. The users of TV service can also watch recordings on mobile devices when they are on the go and outside of their home. If today you got the services down, a complaint about the service status must be filed here against Suddenlink performance. Although outages are not widespread but they do occur, so here we have created a graph which will help you to get aware about the service status.